The most ancient multi-organ life form on the planet, jellyfish have drifted in our oceans for at least 500 million years. The impressive adaptability of these gelatinous beauties continues to fascinate us; jellyfish populations are flourishing in our increasingly warm and toxic oceans. Today they can be found in every marine environment in the world, at every depth, in a remarkable variety of forms and numbering around 4,000 different species. 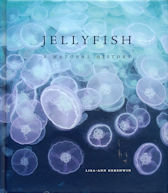 Packed with stunning photographs, this book examines the anatomy, taxonomy, behaviour, ecology and lifecycles of these incredible creatures and profiles fifty of the most notable and intriguing – from the tiny Immortal Je11yflsh to the enormous Nomura’s Giant Jellyfish.